After an excellent time on the Isle of Skye it was time to move on again. 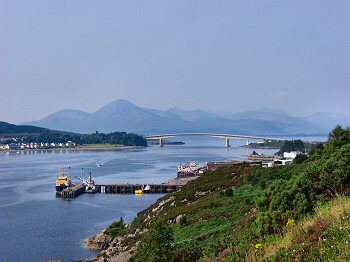 Over the Skye Toll Bridge we returned to the mainland to drive east to Loch Ness. 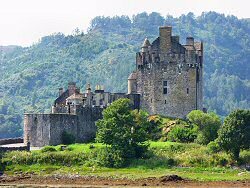 On the way we stopped at one of Scotland's most famous castles: Eilean Donan Castle. As we had both already visited it before we didn't go into the castle, instead only enjoyed the view in the fantastic sunshine. 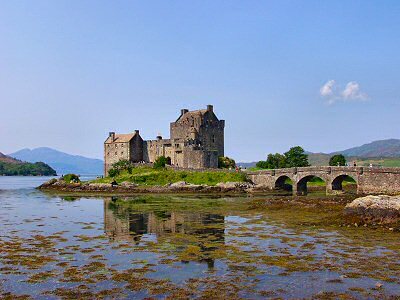 For a better impression than the small pictures on this page: If you have a fast connection (or a lot of time) you can view a QuickTime VR panorama of Eilean Donan Castle (note: 1.3MB). After a last look at the castle we continued towards Loch Ness, driving through Glen Shiel and Glen Moriston. Around lunchtime we arrived at Loch Ness, driving along Loch Ness we looked for a nice place to stop for lunch. 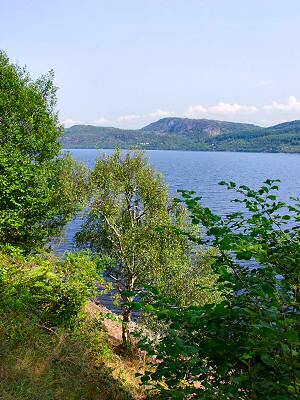 We found a nice place where we could sit under a few trees looking out over the loch. Nessie didn't join us for lunch though. 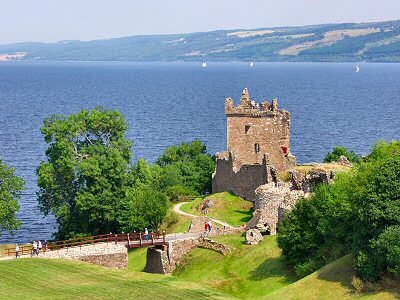 Our next stop was Urquhart Castle near Drumnadrochit. Again we didn't go into the castle, having both visited it before. The view over the castle from the new visitor centre was still nice though. 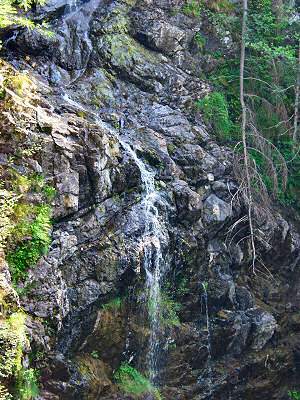 On my roadmap we found another place we thought might be interesting: The Falls of Divach. After a short drive we arrived to find, well, not much. Due to the dry summer weather it had almost dried up. After the disappointment of the almost waterless waterfall we continued towards Inverness, where we arrived at our final destination for the day: The Dunain Park Hotel. 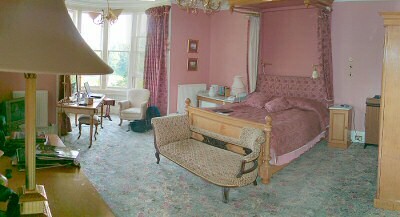 We had a reservation for the half-tester room, a very nice room with a great bay window overlooking the gardens. As it was still very warm we were able to sit outside in the garden and enjoy the sunshine until dinner. Then it was time for an early night as we were planning to do some walking in Glen Affric the next day.